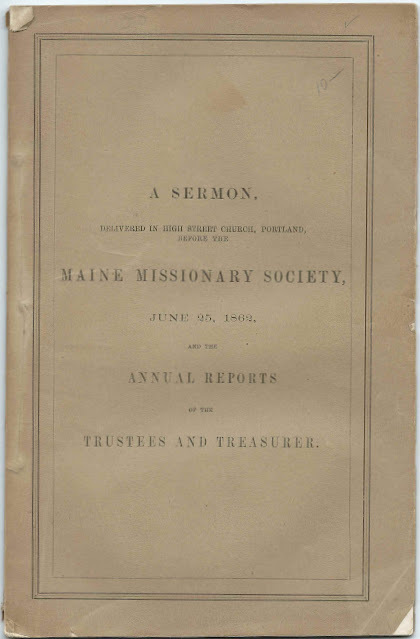 Included in a booklet entitled A Sermon Delivered in High Street Church, Portland, Before the Maine Missionary Society, June 25, 1862 and the Annual Reports of the Trustees and Treasurer is a list of those life members of the Maine Missionary Society who were recognized that year. 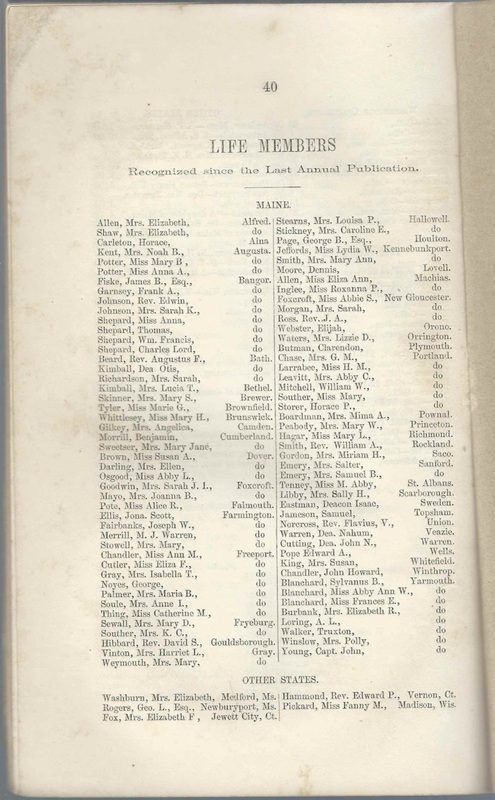 An image of the page of Life Members recognized and a transcription of their names and residences appear at the end of this post. 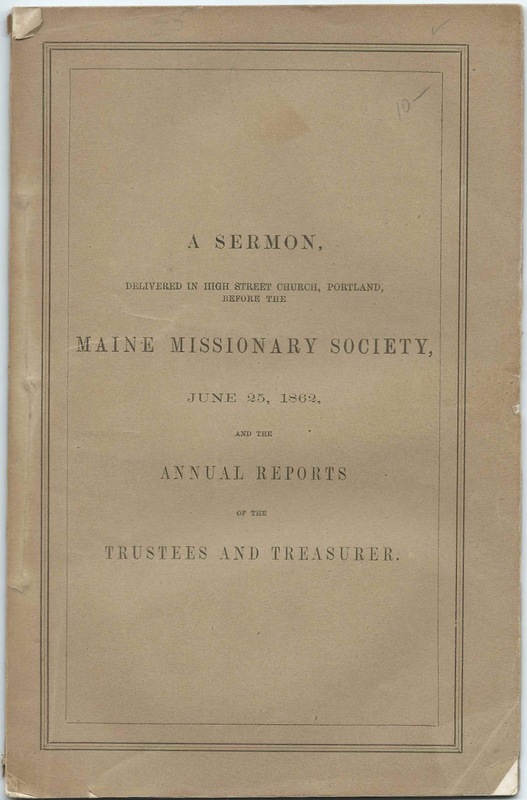 The booklet, which measures about 9" by 5-3/4", was printed in 1862 at the Kennebec Journal Office at Augusta, Maine. Because the entire booklet is provided online by the Yale University library, I've scanned only a few images. 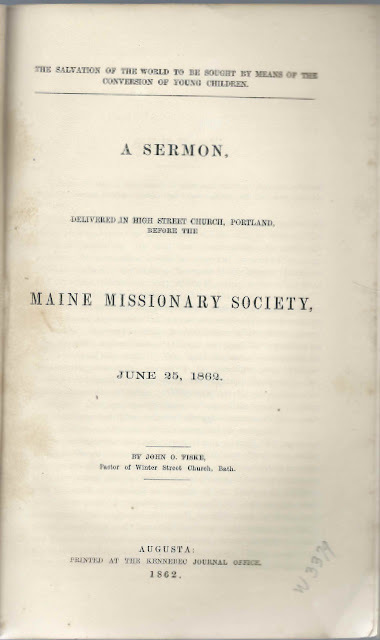 List of the men performing missionary duties and the towns to which they were assigned, including remarks; the list and remarks are featured in another post. Rev. David Shepley Eben Steele, Esq. William D. Little, Esq. William C. Mitchell, Esq. 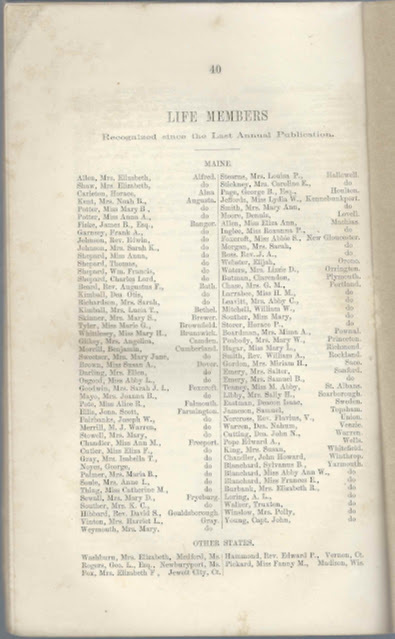 The list of those Life Members who were recognized since the prior publication. As you can see, the members are listed in alphabetically by towns. After the images, you'll find a list of the surnames in alphabetical order, which is likely of more value to family history researchers. If you have information on any of the people mentioned, please leave a comment or contact me directly - thanks!